But Jesus endured spiritual pain too. Verse 5 of Isaiah 53 tells us, “But he was pierced for our transgressions, he was crushed for our iniquities; the punishment that brought us peace was on him.” The “peace” Isaiah talks about here is another way of talking about forgiveness. 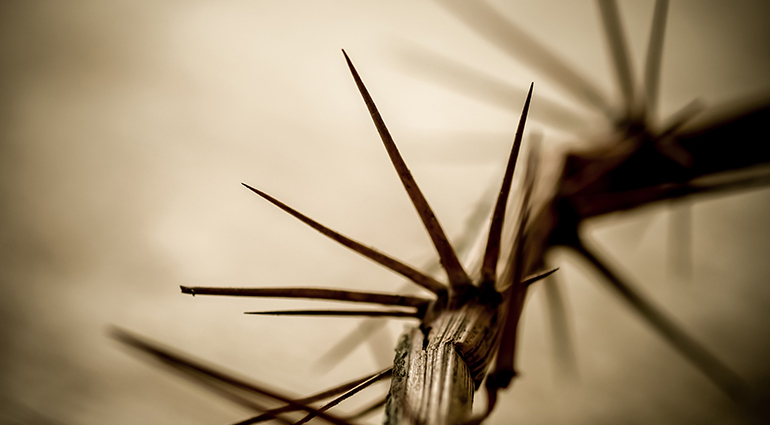 Jesus allowed Himself to be pierced—by a sword, by nails, by a crown of thorns—to bring us spiritual peace with God. His sacrifice, His willingness to die on our behalf, paved the way to make a relationship with the Father possible. And He did it, Scripture tells us, for me. For you.